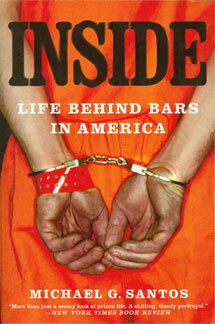 American citizens have a vested interest in preparing offenders for successful re-entry into society. Those who leave prison without strong networks of support, without employment prospects, without a fundamental knowledge of the communities to which they will return, and without resources, stand a significantly higher chance of failure. When offenders revert to criminal activity upon release, they frequently do so because they lack hope of merging into society as accepted citizens. Furloughs can help prepare offenders for success. Federal law provides wardens with the discretion to grant brief furloughs to prisoners once they have advanced to within two years of their scheduled release dates. Wardens who have presided over the prisons where I have been confined, however, were reluctant to exercise their discretion in granting furloughs to prisoners. Some refused to grant furloughs at all, while other were parsimonious in their willingness to provide prisoners with passes to reestablish community ties. Prison reforms should provide prisoners with objective paths they can pursue to earn their furlough privileges. Not all people in prison are appropriate for furlough consideration. Obviously, society must isolate those who show patterns of preying upon victims. Yet administrators ought to encourage those offenders who demonstrate a commitment to reconcile with society and whose behavior shows that aspire to live as law-abiding citizens. Wardens should use the furlough program as a tool to shape such adjustments. Rather than dispensing furlough passes in a miserly fashion, or refusing to grant furloughs at all, wardens ought to encourage qualifying prisoners to apply for furlough use so they can prepare to emerge from confinement successfully. Prisoners who want to enroll in local community colleges or vocational schools ought to have the privilege of daily furloughs so they can earn certifications or credentials that will help them find employment upon release. Those who can receive employment or who can provide services to local communities ought to have access to regular furloughs. Those who have family support ought to earn furloughs regularly so they can play a more active role in keeping their families together. Prison administrators abuse their discretion by discouraging and minimizing use of the furlough program. Prisoners who advance to within two years of their release dates, and who have behaved in ways to warrant minimum-security classifications, ought to have access to strengthen community ties through access to regular furloughs. Those prisoners are confined in open prison camps and administrators have classified them as being nonthreatening to society. Since they will live in American communities, taxpayers have an interest in ensuring that they are well prepared to function as law-abiding citizens. As such, prison reforms ought to mandate expansion of the furlough program to offer qualified inmates opportunities to earn credentials, certifications, employment, and to strengthen community ties. These are the types of prison reforms necessary to lower recidivism rates. I have a cousin currently serving in a California prison. He was sent back on a violation of parole. His main problem was finding employment when released. He would become frustrated with his inability to attain employment. He went through programs out here that hire ex-cons, but the waiting list was never-ending. 1. I agree furloughs could set up more oppoptunities upon release, but what would you recommend our “corrections” system could do in order to help a case like my family members? Obviously the current system is not correcting much with the 70% recidivism rate. 2. Which prisoners should be eligible for these types of programs if new programs were introduced? One of the ironies of prison is that administrators don’t schedule pre-release classes until the prisoner comes to the end of his sentence. When I was in my 17th year, I asked my unit manager to support my job change request in order to facilitate preparations I was making for release. I needed more time for reading and writing. My unit manager asked why I was thinking about release when I was scheduled to serve eight additional years. He denied my request for the job change, telling me that the needs of the institution came before my needs to prepare for release. That is the kind of mindset I hope to see change through effective prison reform. Administrators ought to encourage offenders to pursue paths that would help them prepare for law-abiding lives upon release. Those preparations ought to begin the day an offender surrenders to the prison system. As the offender makes progress, administrators ought to encourage further growth. The objective – or at least an objective – of corrections, ought to be to reduce recidivism. The strategy in place of separating the offender from access to telephone, visits, e-mail, and furloughs works in the opposite direction. We need prison reforms, in mind, that would fundamentally change this system. I was sad to read about your cousin. Many prisoners recidivate as a consequence of their not finding employment. It seems as if the prison system binds a man in chains upon his release, then tips him into the water and tells him to swim. When he sinks, the accepted response is to lock him in prison again. Rather than looking at the cause of so much failure, administrators deny accountability. As my unit manager told me, the needs of the institution come first. The Pew Report illustrates the wretched state of corrections in America. To me it seems a blemish on the country I love, but as a man who has been imprisoned for 21 years, I know that experiences bias my perspective. I’d like to see prison reforms that include mechanisms that encourage offenders to prepare for release. I remain hopeful, even though I do not expect relief in my case. 1. From your book “Inside”, why is it that most prison inmates choose not to take advantage of furloughs that are offered to them? 2. Does a prison inmates’ extensive prior record or good time in prison play a part in being granted furloughs? Or are both actually involved? 3. During your time in minimum security camp, did you ever run into people you thought weren’t qualified for furloughs or abused their offerings at a second chance by doing more crime outside of prison walls? Thank your for the writings you have published. It does open my eyes to a system that was once kept hidden from society’s knowledge. I’m thankful that I’ve had the opportunity to read this book. Thank you for your contributions to the criminal justice system.